Navigating the rough terrain of today’s publishing industry shouldn’t be a solo event. 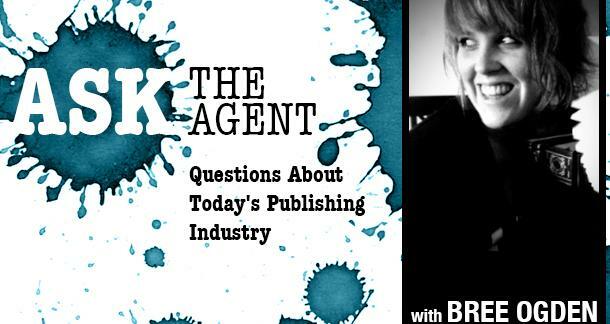 This week in Ask the Agent, I’ll explore and dissect a few of the industry’s graphic novel mysteries. I want to talk specifically about graphic novels today. Over the past few months, I have received numerous questions regarding the submission of graphic novels to agents, so I decided to dedicate this particular Ask The Agent to some of those questions. As one of the relatively few agents that accept graphic novels, can you talk about what you look for in a script and whether or not a writer who isn't an artist should bother trying to break into this area of publishing? It doesn’t matter at all whether or not you are an artist. I take on more scripts without art than I take on fully illustrated graphic novels. It’s highly subject so take this with a grain of salt, but my experience with editors is that they like to bring in their own artists. So please do not let that deter you from writing comic scripts. My question is about query formats in regards to graphic novels. With many submission guidelines asking for the first 5-10 pages pasted in the body of the email, I was wondering how to go about keeping the script format this way. Since graphic novels are written in a sort of screenplay style format, pasting the first few pages into the body of an email ruins this formatting. Is there a way you have seen to get around this? I would also like to include art samples since I am also the artist. Should I include a link to art? I know that attachments are frowned upon. You’re right; you definitely don’t want to paste your graphic novel script pages into a query. Even if it looked perfect on your screen, you never know how it will show up on the agent’s screen. I’ve personally never received a graphic novel query with the first 5 pages pasted in the email. It’s never really bothered me because I understand the difficulties. So if you don’t do it, don’t sweat it. However, if you would like to really impress an agent, you could include (with your query) a link to a website with your material. Of course this will involve some work and possibly some money on your part, but it’s worth it. It could be a simple website that includes a detailed synopsis of your graphic novel, samples of your art, and most importantly, a password protected PDF of your graphic novel script. Make sure it’s password protected because you wouldn’t want some jabroni running across your site and stealing your work. *Make sure to include the password in your query to the agent. I’d love for you to take a look at the first five pages of my graphic novel script and some sample art. You can view both on my website www.___________.com. The password to view the script is __________. I’m always very impressed when a graphic artist presents a simple, sleek, user-friendly site in order for me to view their material. And finally… yes… no attachments. I’m really interested in writing for the DC or Marvel team. It’s my understanding they don’t really work with agents so I don’t know how to get my work in their hands. How does an unknown/unpublished comics writer get in the door of DC or Marvel? My answer to this is good luck. From my experience with DC and Marvel, it’s all about the people you know. And it would help if those people were well-respected writers/artists for the company. An agent may be able to get you into some doors, but likely not. I’ve worked with some Vertigo (an imprint of DC) editors. But as far as the IP work at DC and Marvel… I’ve never approached that. At this time, DC Entertainment does not accept unsolicited artwork or writing submissions. DC does what they call a “Talent Search”—go here to learn more about it. When receiving a query letter from a graphic novel writer, do you only consider their project if they have included some completed artwork? I have taken on many graphic novel projects without artwork. Editors often like to choose their own graphic artists (many times in-house), and it can be quite the process. Often, editors love the script but hate the art or love the art and hate the script. So frankly, it is easier for me to take on a script without artwork and pitch that to editors. One thing to consider: It may help to give the agent an idea of what kind of art you envision for the project. General Graphic Novel Submission Pro tip: When I am gearing up to submit a graphic novel to an editor, I email them and ask what they expect to see. Do they want a proposal? Full script? Sample art? There is no shame in asking before you send. (However, ALWAYS check the agent’s submission guidelines first. They may tell you what they expect to see with graphic novels). Have a question about the publishing industry? I would love to discuss the specifics of researching and querying agents, finding the right agent, proper publishing etiquette, how to go from idea to completed manuscript, marketing yourself, social media for writers, and anything else you can think of! I am now taking questions for Issue 15 of Ask the Agent. Issue 15 answers will be posted Monday, Jan 21st. As one of the few literary agents working on graphic novels, I'd highly recommend graphic novelists do at least some of their scripting in Word. I know it is counterintuitive to design work and programs like Celltx make graphic novel manuscripts easier to format, but word is still the industry standard in publishing and PDFs frustrate many editors. I often consider samples and graphic novel proposals in PDF and other formats, but only make submissions in Word.